A bottle to have in your bathroom! Great value! Total bargain! I have long fine blond hair, that needs extra protein And strength everyday due to the hot climate we live in! We but the bigger bottle next time and try the conditioner to!! Not used my latest purchase yet, but have used this in the past and I am very pleased with the product. It was recommended to me and I have not been disapointed. I use this shampoo occasionally for conditioning my hair, as an alternative to L'anza daily clarifying shampoo. It works well, leaving my hair soft and shiny. I colour my hair and as I am retired do lots of holidays. It is excellent and keeps my hair in tip top condition. Other shampoos seem to make my hair dry.Well worth the price. A good choice for coloured hair! This shampoo is the best I've ever tried...and I've tried loads! it doesn't feel at all heavy and my hair still has plenty of movement in it. I normally have to wash my hair every day when using repair shampoos...but with this one I get away with two whole days! My hair feels soft, looks shiny and I really feel that it is trying to "repair" my hair! 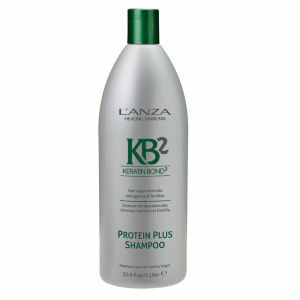 I have been using L'anza products for years and this is an brilliant shampoo. I colour my hair and this really helps keep it in good condition. Would def recommend.